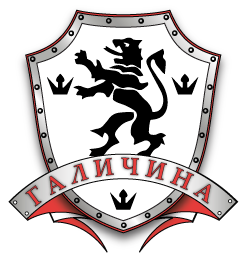 Halychyna was originally conceived as far back as 1987 but the club as an entity came to life in 1990. Halychyna is an independent club although it serves as the training provider for CYM GB [Ukrainian Youth Association]. The headquarters are located in Manchester but there are ranges in Bolton and Oldham, as well as an outdoor range in WoT [Weston on Trent] Derbyshire. Originally the aim was to provide safe and appropriate shooting training for air weapons to CYM GB members whilst attending the annual summer camps. Halychyna applied for and were accepted as an affiliated club of the NSRA [National Small-bore Rifle Association]. The success of the provision lead to a tiered medal award scheme which proved so successful that further challenges were developed. A gap in shooting training was identified at each Oseredok [local branch of CYM]. This led to the implementation of some localised shooting ranges. Today Halychyna still provides shooting training for CYM GB and CYM Oseredky but it also delivers training and events to the greater community and is able to deliver such events at client’s premises, subject to an initial safety and feasibility report. The range of shooting available at Halychyna covers air weapons, small-bore and HFT which is available on the adjacent HFT [Hunter Field Target] wooded range. Halychyna strives to improve shooting sports by encouraging continual professional development. The club Chairman and Treasurer are both NSRA trained and accredited Club Coaches. 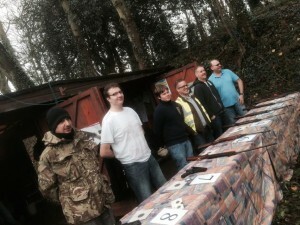 Our NSD [National Shooting Day] last year proved very successful, the first ever winners, Oseredok Manchester. Visit our website to see what we offer and what we do. Take a look at the images and results sections also to see the happy faces.